This coat is perfect for when the temperatures drop over the winter months and is one of the warmest coats in this season's collection. This coat is padded with feather and down giving it a sumptuous duvet-like feel. 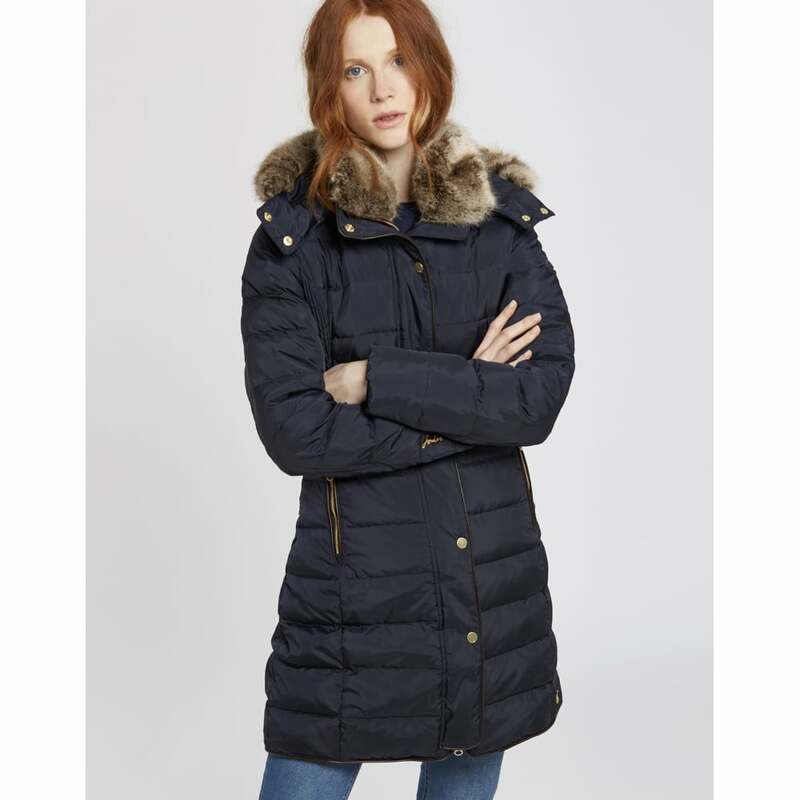 Both the hood and faux-fur trim are detachable, meaning this coat can be given several different looks. The coat has a zip fastening and beautiful bronze popper along with pocket detailing. Machine Washable, Tumble dry on a low heat.